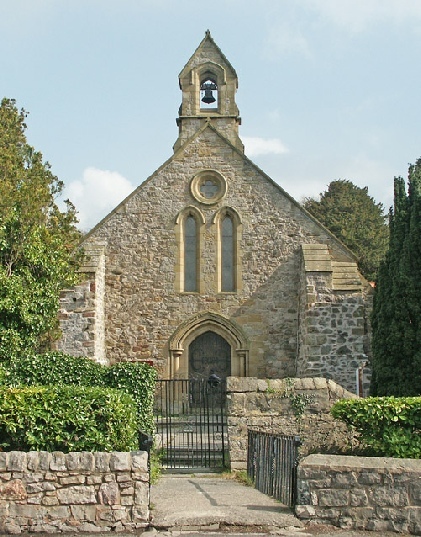 A church was recorded in Dyserth in the Domesday Book of 1086, but the exact date of any foundation is unknown and very little is known of the saints to whom the church is dedicated. The name Dyserth itself is said to mean ‘the place of a hermit’s cell’. The original structure of the church would have been of wood and has long since disappeared. The earliest parts of the current building date from the 13th century but it has been repaired and renovated many times over the centuries, most notably by Sir George Gilbert Scott in the 1870s. Scott rebuilt parts of the south, north & west walls. He replaced the porch on the south side and added a north transept and a north aisle off the chancel for the organ and vestry. 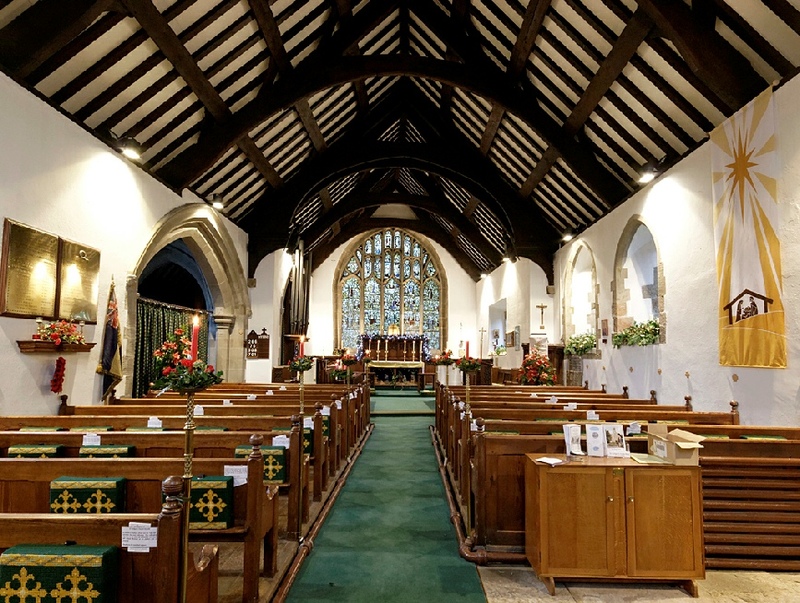 He removed a gallery at the western end, replaced pews with open benches and introduced a new pulpit and prayer desk. Scott filled-in some graves on the north side before the construction of the new transept and organ chamber. 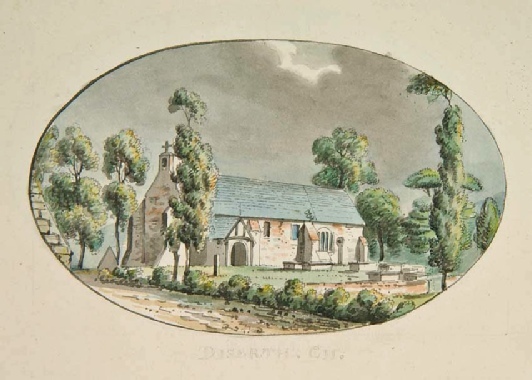 The church in the late 1790s, from Thomas Pennant. Note that there is no west door in the picture. A more modern picture of the south side. The inscription above the window on the right is shown below. The chief glory of the church is the stained glass window above the altar. This has been described as the finest example of a medieval Jesse Window in North Wales. If you look carefully you will see that it is basically in two sections. The upper part is a representation of the twelve Apostles and some feel that it is older than the lower section which is the Jesse window - that is the family tree of Christ. Some authorities say that the older part dates from 1430 and the the second part resulted from a bequest in 1530. Local legend has it has it that the window was transported from Basingwerk Abbey near Holywell at the time of the dissolution of the monasteries but more informed opinion tells us that the window was designed for its present position. An information leaflet is available in the church.